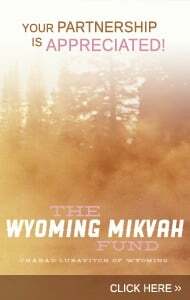 To meet the rising needs of the kosher consumer in Wyoming and the religious needs of Jews in Wyoming, Chabad Lubavitch of Wyoming offers a kosher co-op. Presently the co-op offers kosher meat, poultry, gefilte fish, grape juice and other kosher items that are not readily available in Wyoming. In order to make it as easy and affordable as possible to keep kosher, Chabad has arranged for amazingly competitive prices. The co-op orders approximately every 3-4 months. Some common products are available on a regular basis at Chabad. The best way to take advantage of the co-op is by preordering. That way you are ensured that you will be able to purchase what you want (so long as it's available from the supplier). To keep costs as affordable as possible, orders are made from the largest kosher distibutor in America. This, in turn, requires that we order in bulk. When preordering you may order whatever items you choose. If it is not a common item you may need to order an entire case. Please contact us to discuss ordering opportunities when requiring a small quantity of an uncommon item. There may be others that also want to purchase that item (and split the case). 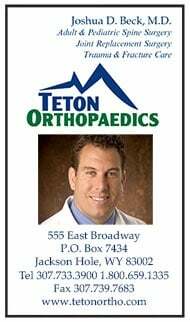 We do carry some of the more common items on a regular basis. This includes chicken bottoms, hot dogs, some steaks, some deli products and ground beef. We may have other items on hand. Call to see what might be available. The food products will be shipped from a kosher plant to the Jackson area by cold freight. Kosher products will be stored at at Chabad Lubavitch of Wyoming.For those people preordering, we can keep the product at Chabad and you may pick up your order in periodic installments. This storage service is offered free of charge. Please call in advance to make arrangements. Click here to let us know if you would like to receive an email before we make our next Kosher shipment.